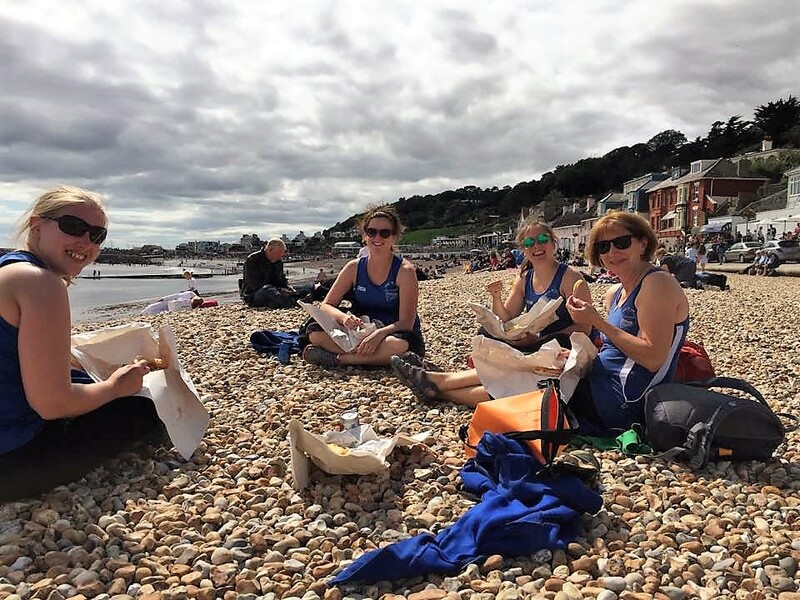 A lovely day in Lyme saw us gather on the Cobb for what would prove to be a successful regatta for Bristol, finishing 4th overall out of 17 attending clubs. Conditions were fine with a gentle swell and not too breezy and with plenty of mackerel and cake on offer to sustain us we were set for a good day. The Vets got us off to a great start with the women holding their line well to finish in the middle of a packed field and the men getting so carried away in their 10th place finish that they broke an oar in what was only the second race of the day! 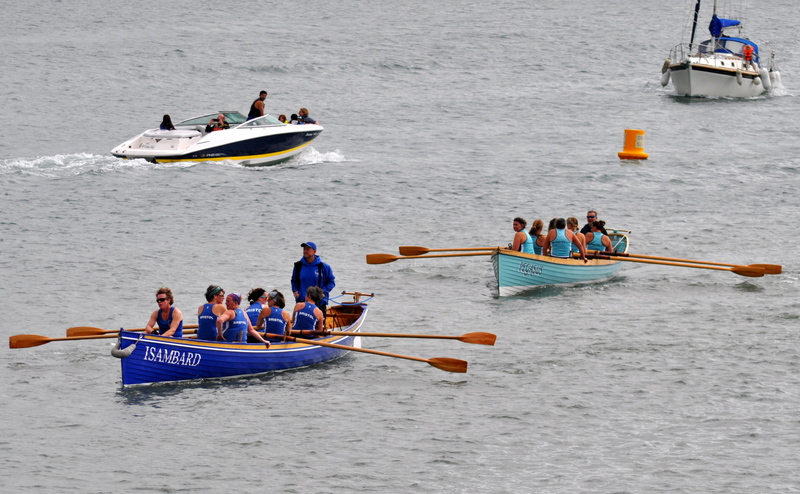 Women’s A rowed a superb race to beat Weymouth (who were having a very successful meet) in to second place. Women’s B rowed strongly to finish in the top half of a strung-out field. In the Women’s C Bristol had two crews racing thanks to Clifton kindly lending us Avona. 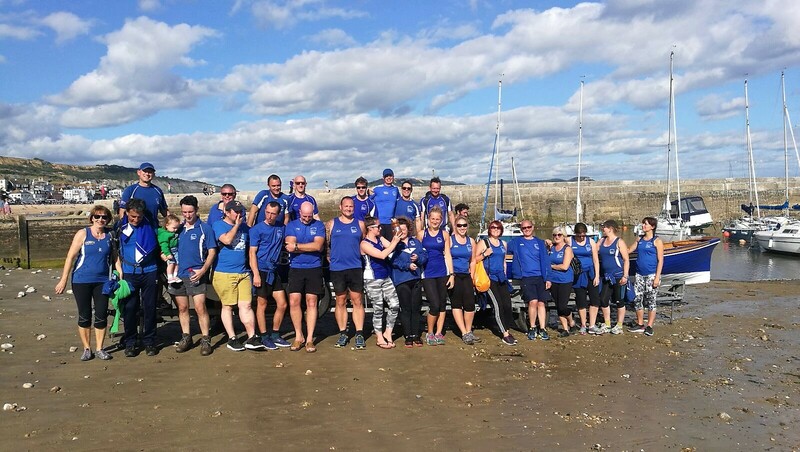 In a keenly contested race Isambard finished 3rd winning their tussle with Weymouth and Avona came in 6th after edging out Clevedon in their own battle. After a rather tasty start featuring clashing oars and a bit of banter Men’s B, rowing in the A, powered to a great 4th place. 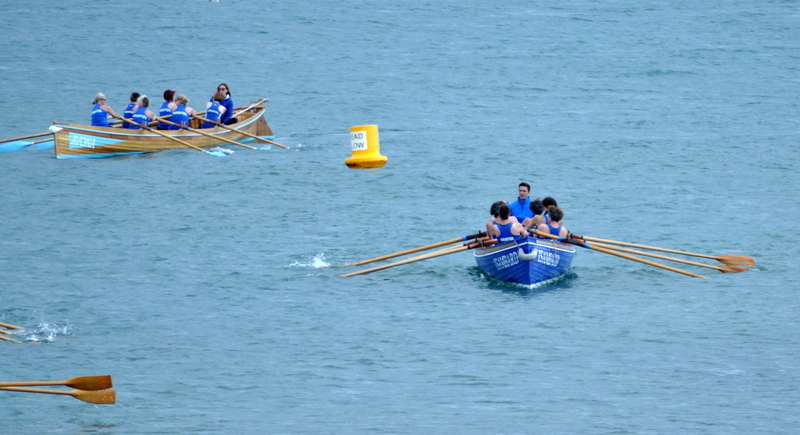 Men’s D continued their sizzling Summer form, finishing 4th in the B race. 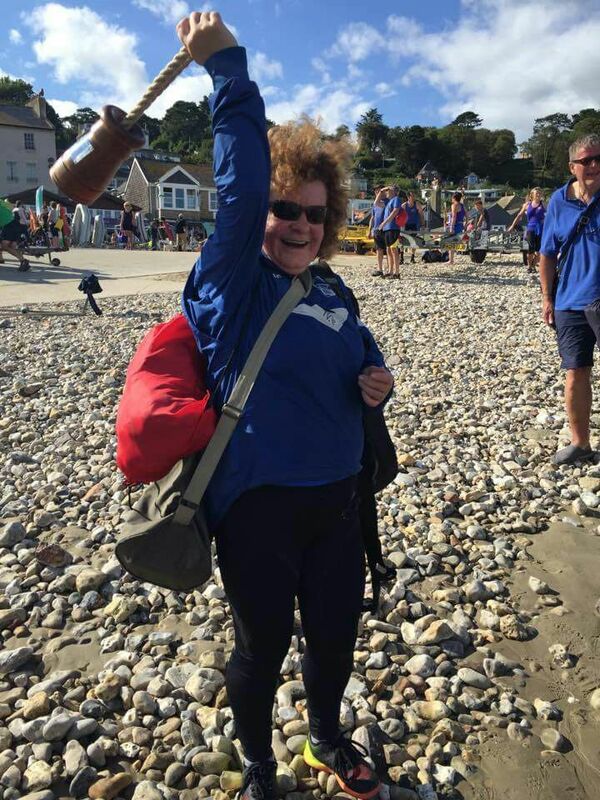 Lydia’s heart rate was still raised following her triumph with the A crew as she roared the Men’s C to a highly respectable 7th, squeezing out Lyme Regis on the line. The regatta was called to a close without running the last two races due to time constraints but with the sun now beating down steadily everyone was happy to adjourn to the Cobb Arms for a refreshing pint. Thanks to Rich for towing Isambard once again and to Clifton for trusting us with the beautiful Avona (great restraint shown by the Women’s C to resist the champagne they found in her!). Women’s B. 5th/16: Sarah R, Andrea J, Kate, Claire, Becky B, Teresa. Cox: Tig. Women’s C: 6th/ 14: Avona. Sue, Diana, Elaine, Carolyn, Andrea W, Jen. Cox: Nic. Women’s Vets. 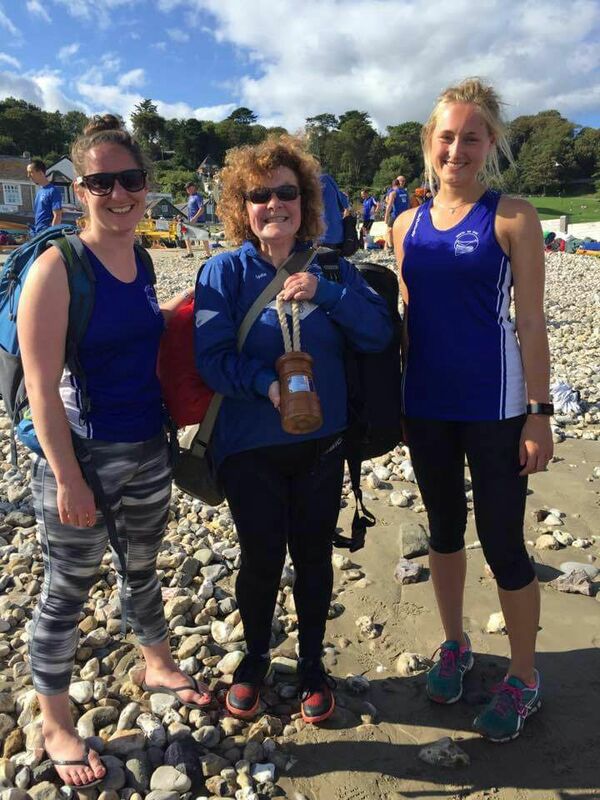 9th/ 17: Allason, Lesley, Jean, Becky, Claire, Fi. Cox: Tig. Men’s B. 4th/ 15: James Hellman, Peter, Andy M, Mat, PV, Chris H. Cox: Mike. Men’s C. 7th/ 15: James Hector, Arni, Ben, Tim, Rich S, Jay. Cox: Lydia. Men’s Vets 10th/16. Tig, Rich, Dan, Jon B, Rich S, Andy T.
Mixed Super Vets and Mixed cancelled.